How long is each cable? 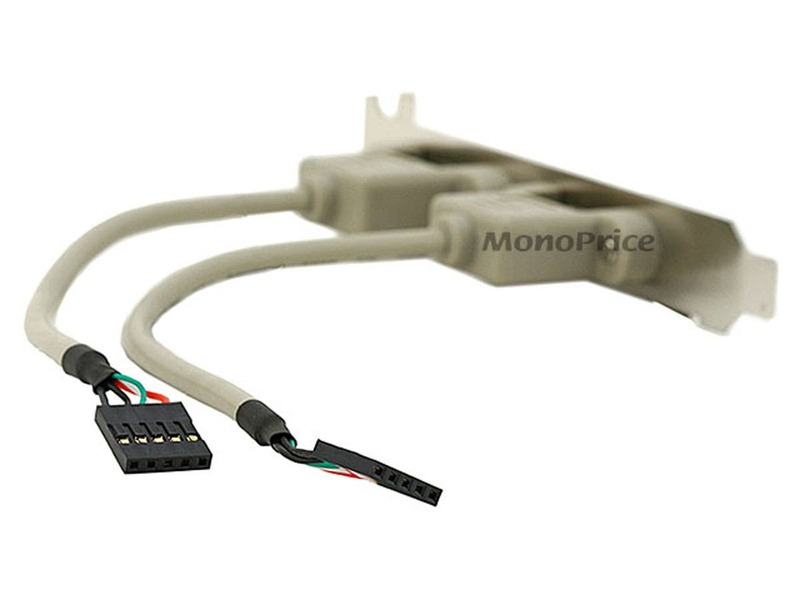 Connector is not keyed, cable is short. 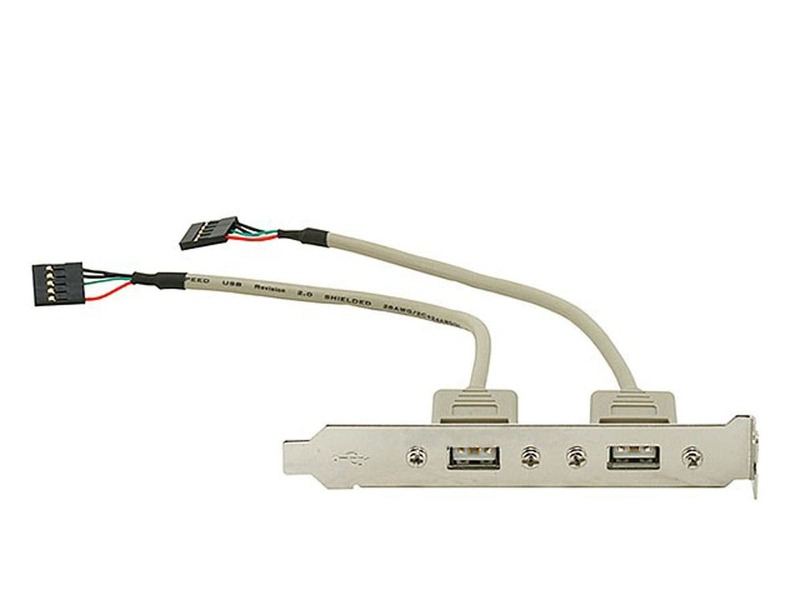 Since each port has its own connector to the motherboard header, It can't be keyed to only fit one way on the motherboard. The motherboard header is missing a pin (for keying) so you must match the two black wires to the keyed end. Product was just as described and shipped in a timely manner. Took about 5 mins to figure out how to plug it into the motherboard as it comes as two seperate 5 pin plug. IRC, both red ends/wires are supposed to be on the right when plugging into 1 of the usb headers. PROS: Good quality. Pretty cheap. Works. CONS: None so far, only complaint is shipping cost. I like to mount a USB flash drive internally to keep backups/copies of important documents/files. I also like to use an internal USB drive for a server OS like FreeNAS. Keeps the computer clean and prevents the risk of bent/broken drives since it's plugged in all the time. These USB header cables works perfectly in my Shuttle XPCs, and I need just one cable per PC, so I can get two per bracket. Works right out of the bag, no need to re-arrange the pins. The downside of the single row header vs the double row, is that there is no keyed pin, so you need to figure out which is the right way to insert the header. The red wire is VCC, and the black wire on the other side is the one that should be plugged into the keyed pin. PROS: Good Price. It works. Easily remove from bracket for internal usage. 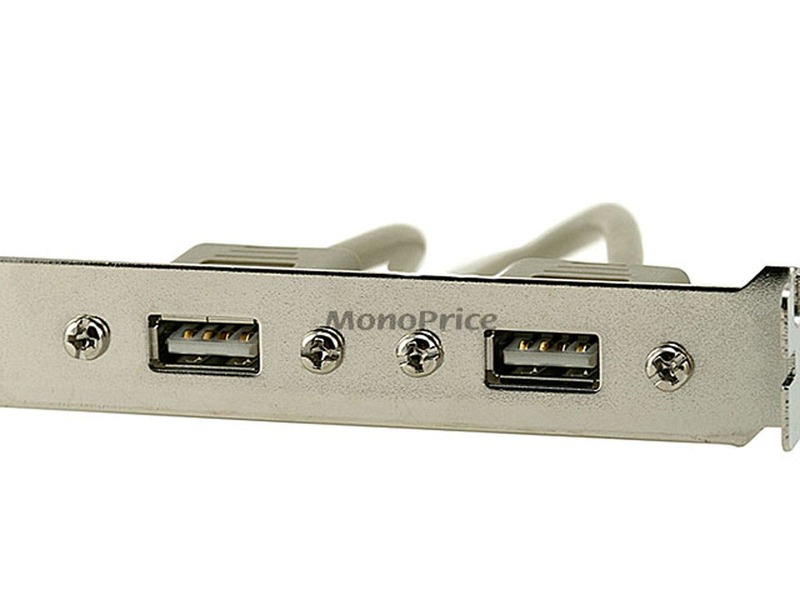 Separate USB plugs, single row header. CONS: Very short cables. Can't remove the plastic USB plug cover. CONS: Cables too short - need another 2 to 4 inches even for a micro atx board to have enough slack and positioning options. I got this for my HTPC so i could hook a couple components into it and hide them inside the case. Since i'm doing this, the VERY short cables aren't really an issue, but be warned they're only about 8 inches long. Can remove ports from bracket with ease, without breaking it if you need to put them back on. Cannot remove bracket mounting that attaches the ports to the PCI slot cover. But that also mens that you can easily mount it to a custom hole. -Installation was extremely easy. The PCI brackets connected directly to the 2 closest USB headers on the motherboard. I have an extra USB header on my motherboard, but unfortunately the cables on this bracket are a little too short to reach it. That is the only reason that this product did not get a rating of 10. CONS: -The cables could be an inch or two longer.